Find the best English school at the best price. Quality comparison, reviews and special offers on adult group courses for learning English in Sligo. 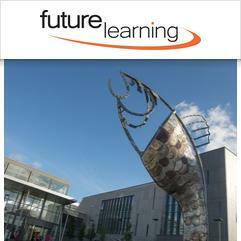 Compare courses for teens and children in Sligo. Didn't find what you are looking for? Compare more English schools in Bray, Cork, Dublin, Galway, Kerry, Kilkenny, Limerick, Waterford, Westport, Wexford or get comparison of all schools in Ireland . Sligo: Sligo is considered by many to be one of the most picturesque places in Ireland. It is located in the northwest between the Benbulben and Knocknarea mountains and the Atlantic Ocean. Visa: Nationals from USA do not require a visa to study short term courses up to 90 days. Check visa requirements for nationals from other countries. LanguageCourse.net is the world's most visited independent education directory for the reservation of English language study abroad programmes at recommended English schools in Ireland. Whether you are looking for language courses at the lowest price, with good quality teaching or with fun leisure activities, we will assist you in finding the best course for you among our carefully selected list of English language classes for beginners, intermediate or advanced students. Our friendly language travel experts will be happy to act as your guide.